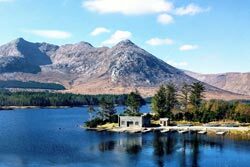 The purpose of the Mountain Guide is to list, classify and present the hills and mountains of the British Isles (which includes Ireland). 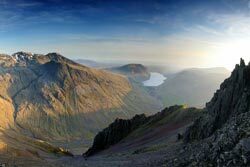 Whilst there is no universally accepted definition of what constitutes a mountain there are a plethora of classifications defining the peaks found throughout Britain and Ireland. 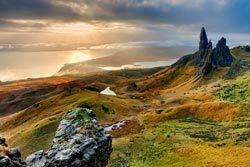 If we regard a mountain as a peak with a height of more than 600 metres (2000 feet) relative to its surroundings then there are in the region of 120 mountains in the British Isles. Of these 82 are in Scotland and 24 in Ireland. 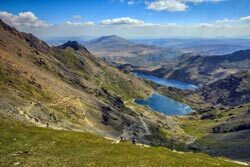 However, on this website we have listed in the region of 10,000 peaks, largely derived from the Database of British and Irish Hills (DoBIH). These peaks range from modest climbs in city centres to the mountains of the Scottish wilderness.